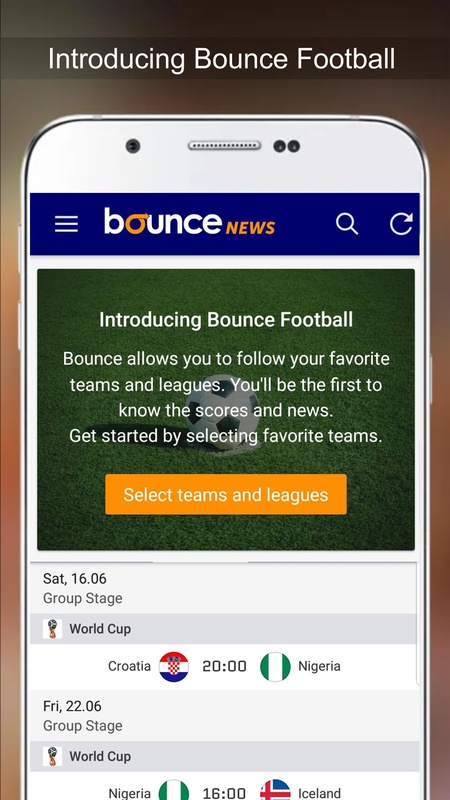 The Bounce Football feature which was newly launched on the Bounce News app is the in-thing for the right reasons. 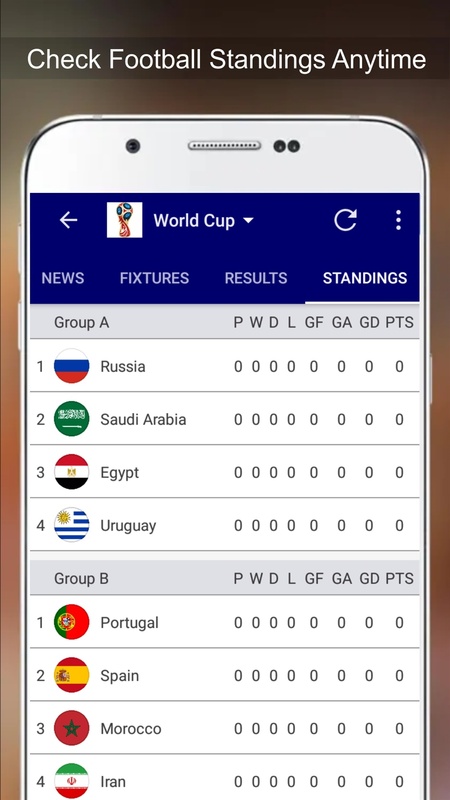 For football fans, this exciting addition to the Bounce News app is coming at the right time; few days before the World Cup. 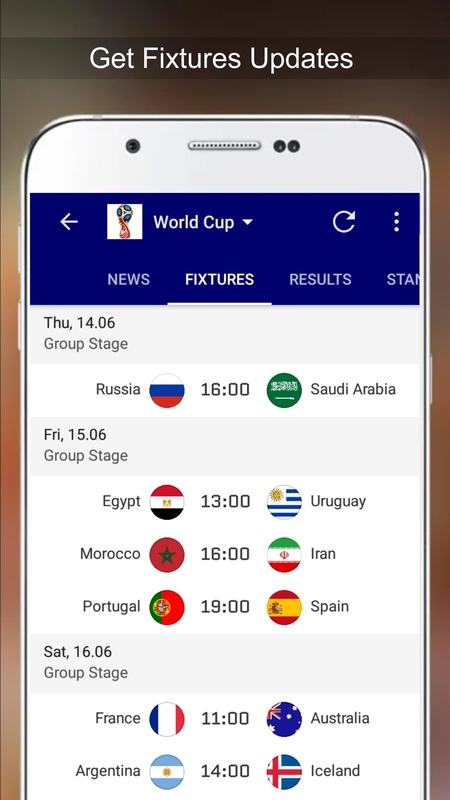 Just in case you are wondering why there is so much buzz around this innovation, going by the number of other football and livescore platforms available, here's how to get it and what you stand to enjoy. 1. 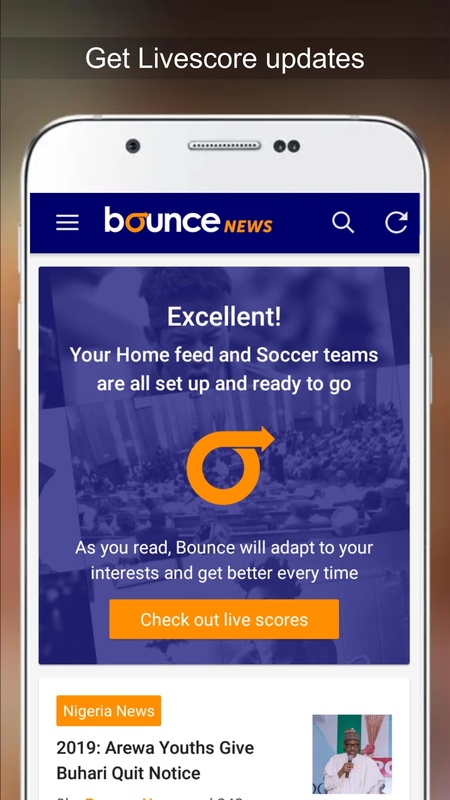 Update or download the Bounce News app from Playstore. 2. Select "Football" or "Sport" as one of your interests. 3. You could go further to select your "Team" or preferred "Football League" - (the more specific you are, the more personalised it gets). 4. Leave the rest to us to serve you the best of football reports, commentaries, livescore and results as it happens LIVE. One of the biggest selling points for Bounce News has been its low data consumption and even free data usage for MTN subscribers only. It's even juicier now with the introduction of the Bounce Football feature. Data usage has been further reduced, so you have nothing to worry about as far as your megabytes are concerned. The extra edge from Bounce Football is that you are guaranteed not just accurate news and information on your preferred teams and leagues but the news is also coming in faster than others. While goals are often the biggest information wanted in football games, other bit and pieces of gist from matches gives you a better feel. 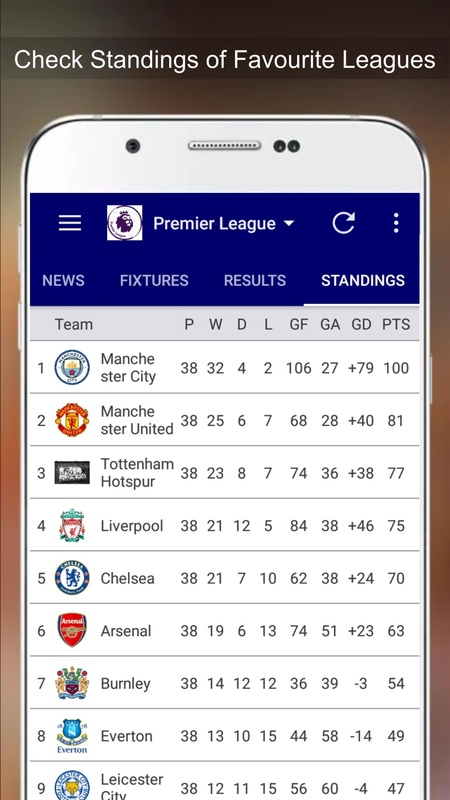 With Livescore on Bounce Football, all the details needed on matches including cards and substitutions are served via push notifications. The Livescore on Bounce Football offers you unique liveblog commentaries. The apt and descriptive commentaries make you feel closer to the action even if you are millions of miles away. For Bounce Football, you are not limited to how many leagues or teams you can access. So, you have unrestricted access to feed your passion for football.